Are you like me? Do you like projects with lots of “bling”?!! 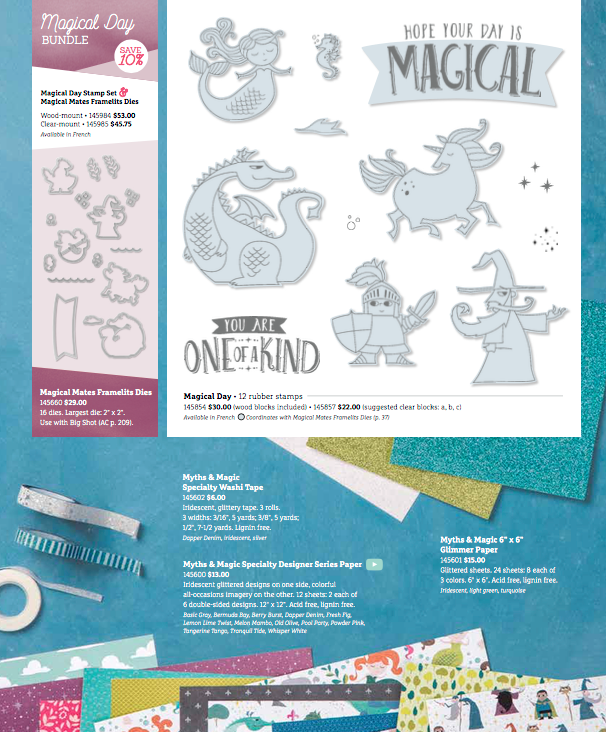 The new product suite called Myths and Magic has just what you are looking for!! The stamp set that is part of the suite is called, Magical Day. In additoin to the stamp set, there are coordinating framelits, Designer Series Paper (which also has LOTS of bling/sparkle), washi tape that is 100% sparkle, and a 6 x 6 stack of glimmer paper!!!! Today I am sharing the first of a series of note cards that I created for an upcoming kids class. Each child will make the 4 note cards I designed! 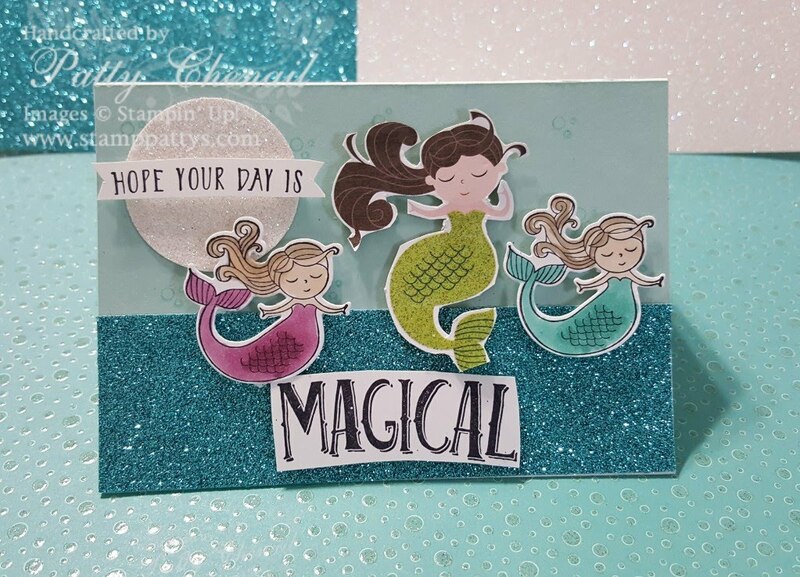 Today’s project focuses on the adorable mermaids! The larger one in the center is hand/fussy cut from the designer series paper while the two smaller gals on either side were done by stamping on whisper white cardstock with our Tuxedo Black Momento Ink and then I colored them with my favorite….Blends markers!!! The sparkly water was done using a strip of the bermuda bay glimmer paper that is part of the Product Suite! Be sure to come back in the next couple of days! I will be revealing the next card in the set of four! Also, in case you missed by Blends You Tube video, I am sharing with you again!